The responsibility that is associated with owning a vehicle far exceeds that of a financial one. Having the actual funds to purchase a car is important, but it is equally essential to take the time to protect your investment. Taking your car to a reputable Chevy service center in Albany, NY, such as DePaula Chevrolet, can help take care of regularly scheduled and unplanned maintenance issues that are occasionally needed. Aside from these predictable occurrences, there are plenty of things you can do on a daily basis to further protect your car, truck, or SUV. One of the first steps to defending the lifespan of your vehicle, is getting to know it well. You may already be spending hours each day in your car, but it takes much more than sitting behind the wheel to truly understand what makes it tick. Whether you have owned your vehicle for years, or recently bought it, this step is an important one to take. Get out the owner’s manual that came with your car, and take the time to glance through it. More often than not, any questions you have regarding your vehicle can be found inside this often-overlooked tool. Inside you will find information specific to the make and model of your vehicle, including the suggested maintenance schedule, and how-to guides for operating everything from the car itself, to how to use the climate control system. Even if you think you already know everything about your car, spend a few minutes thumbing through this booklet, which is likely located in your vehicle’s glove box. By understanding your vehicle and how it should be operated, you will not only be a more informed driver, you will also be helping to extend the lifespan of your car. Now that you are on your way to understanding the specifics of your vehicle, we have outlined some general steps that are important to follow in order to maintain your car. By following this new daily routine, you will be able to ensure that your car is the best cared for one on the block. The schedule may seem overwhelming at first, but once you get into the habit of doing daily upkeep on your vehicle, it will become second nature before you know it. Check out the guide we have put together to help you take care of your car on a regular basis, and hopefully avoid some potential repair work. Monday: The first day of the workweek is always a tough one. We drag ourselves out of bed, silently pleading with time to transport us back to Friday afternoon. Inevitably, it doesn’t happen. Work is waiting, and our commute will no doubt be filled with the hope of a quick and painless Monday. Since Monday leaves most people with little to no motivation, we have kept the to-do list on this day short. Check Exterior Lights – This is a quick, painless, and important process to do once a week. After you turn your car on, switch on the headlights, the blinkers, and the high beams. Ensure that each one is working properly. If you have someone available, have them apply the brakes while you check that the brake lights are both functioning. This may seem like a silly use of time, but keeping up with this simple maintenance issue can save you from having to pay costly fines for their failure. Tuesday: Monday may be a part of history, but Tuesday does not hold any more promise of the speedy arrival of Friday than the day that preceded it. Know that your pain is felt by thousands of working professionals throughout New York, and take heart in the fact that Friday is going to eventually come. Until then, take care of your car by taking this step every Tuesday. Check Your Oil Levels- Pop open the hood of your car and find the oil dip stick. If you have no idea what we are talking about, refer to that handy manual you should be studying. Get a clean light-colored cloth, and wipe the dipstick clean once you locate it and pull it out. Insert it fully back into the pipe, and pull it out again. There will be a film of oil at the end of the stick that is labeled “ADD” and “FULL.” If the oil falls within the ADD line, it is time to head to DePaula Chevy for an oil change. If the oil residue is within the FULL line, but the clean rag you wiped off the dipstick with is now filthy, it is likely time to get your oil changed. This one can get messy, so waiting until you get home from the office might be the best plan. Wednesday: Ahhh, yes! The halfway point to the work week has arrived, and we are celebrating right along with you. Before you get too giddy, be sure to do this quick check of your car to make sure you will be ready to roll into the weekend come Friday. Check Tire Pressure – Once a week may seem like overdoing it for checking the tire pressure on your vehicle, but it is an important step to take. Simply take a tire pressure gauge (you can purchase at nearly every store for a few bucks), and see how each of your four tires is handling the pressure from the week – hopefully better than most of us are! You can refer to your owner’s manual for specific numbers, and be sure to jot them down somewhere so you can refer to them each week. This step is especially important for drivers who live in a climate that experiences fluctuations in daily temperatures – we are talking to you, New York! Thursday: Tomorrow is Friday! Woo hoo! This is a great day to celebrate your upcoming freedom by treating your vehicle to a little makeover. Give Your Car a Good Cleaning – We aren’t talking a full-on detail, but running your vehicle through the car wash once a week can help prolong the exterior conditions of your car. The undercarriage of your vehicle features many important components that you will want to keep clear of dirt, road salt, and other unwanted particles, so opt for that add-on when you are there. Whether you swing through a car wash on your way into the office, or on your way home, be sure to spend the $3-$7 to do it. While you are there, clean out any clutter that has accumulated from the week. Trust us, a clean car will do wonders for your spirit as the weekend approaches. Friday: We told you this day would come – didn’t we? Now that the end of the work week has officially arrived, take this small step to make sure you don’t end up stranded on the side of the road somewhere on your way to liberation. Get Gas – That’s right. It’s simple. Go fill up your tank. Whether you have a half tank, or less, be sure to stay on top of your fuel gauge. By keeping your tank full, your engine will suffer less from potential problems that can arise when fuel levels get too low. 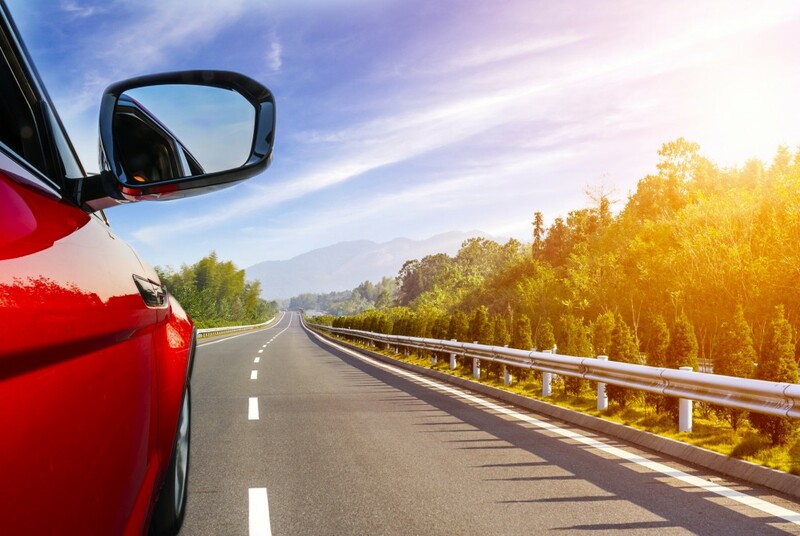 Just five days of simple and easy maintenance can help your vehicle stay on the road for years to come. Each of the five things we outlined today only take a few minutes out of each of your working days, so you can enjoy the weekend free from worry. 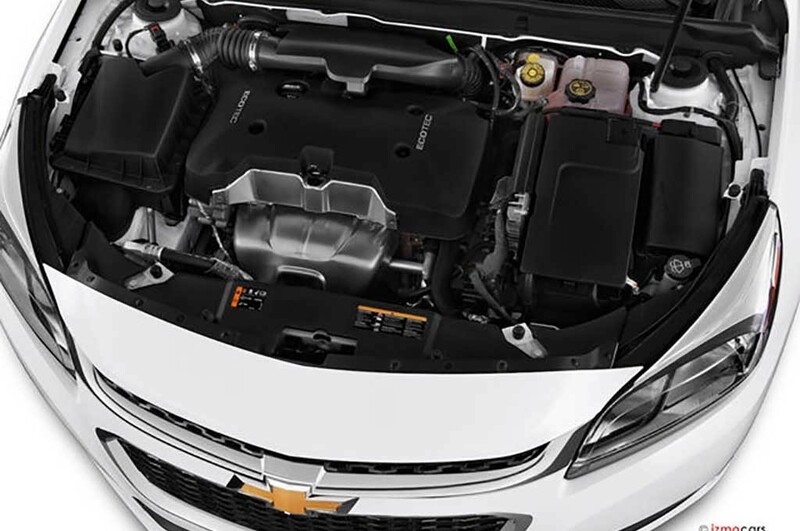 If you find that your vehicle does need the attention of a professional service center, come down to DePaula Chevrolet and meet our Chevy-certified technicians. They can help you with all of your service needs!